SSC is going to announce CHSL Tier 2 result today. Candidates who have appeared in the examination can check the result at ssc.nic.in. Staff Selection Commission (SSC) is going to announce SSC CHSL Tier 2 result today as per the updates from the sources. The merit list along with expected cut offs will be declared at the official portal of the Commission, ssc.nic.in. The SSC CHSL Tier 2 Exam 2015 was conducted on 18 September hence, the result will be out by today at the official site of Staff Selection Commission. This news is surely going to pacify the excitement of all the candidates, who have been a part of one of the biggest recruitment examinations. 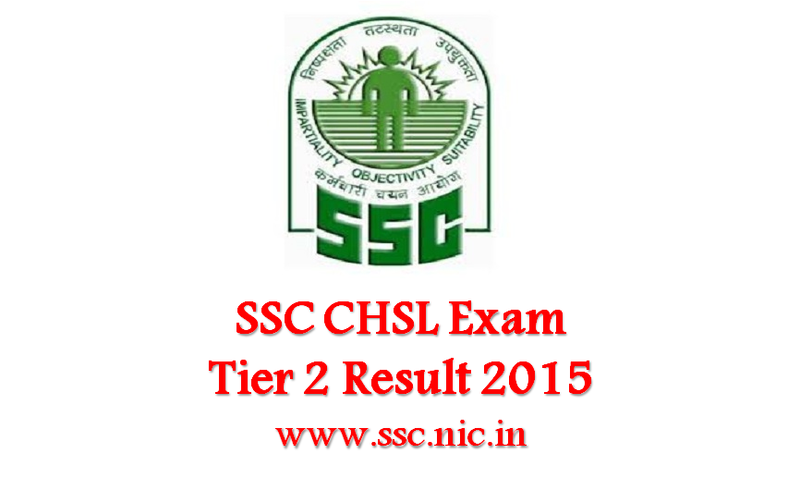 CHSL Tier 2 result is highly anticipated as this is first of its type to be announced by SSC. The Commission had introduced the new exam paper/ tier, this year itself. The exam was held to assess the writing skill of candidates. The exam was bilingual (English/ Hindi) where candidates were asked to write an Essay of 200-250 words and Letter / Application of approximately 150-200 words. As per the data given by different sources near about 60 thousand candidates had appeared for the CHSL Tier 2 exam. In order to make the assessment process transparent, the Commission had released answer keys of the exam. Candidates are allowed to take printout of their answer sheets till 31 October. Here’s an important note for all result expectants! SSC will declare the result ONLINE at the official portal only. Therefore candidates are suggested to monitor the official webpage of SSC at ssc.nic.in for regular updates in this regard. Taking the excitement going around for SSC CHSL result 2016 many spam links are getting viral over internet. Candidates are suggested not to disclose sensitive information. Candidates should not be in a haste to retrieve the result early and fast.